Britain's Duke and Duchess of Cambridge will take their son, Prince George, to visit the late Princess Diana's grave later this year. 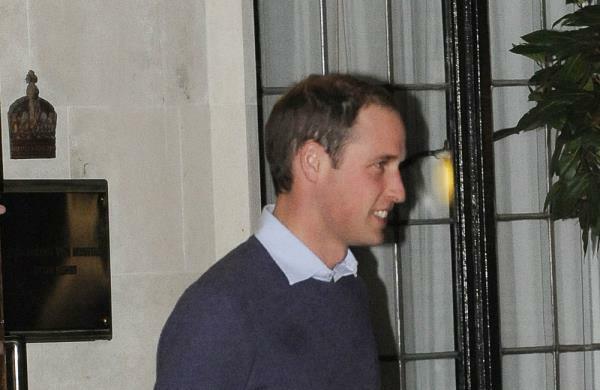 Britain's Prince William will take his son, Prince George, to visit his late mother's grave. William and Kate will take a trip to Princess Diana's ancestral home, Althorp estate in Northamptonshire, central England, later this year because William is said to be keen to ensure Diana, who died in a car crash in 1997, is a big part of George's life. A source said, "Diana is very much part of William and Harry's life. As far as they're concerned she is with them all the time. "The princes were so close to their mother and it will always be a tragedy to them that she couldn't be with them during their adult lives. They visit her often and made a vow they would always share the important times with her. "So it will be a hugely poignant moment when Kate and William take little George to visit his grandmother. "As soon as Kate became pregnant, William knew he wanted to introduce the baby to Diana at the earliest opportunity. He wants it to be a regular thing and will explain to his son what a wonderful woman Diana was. "He took Kate to Diana's grave shortly before they got married and he feels it's right to take baby George too." The royal couple will also use the occasion to introduce George ? who was born last Monday ? to his great uncle, Earl Spencer, Diana's brother. off his son to Diana's family, who are really proud of William, but it is somewhere where he can feel closer to his mom."